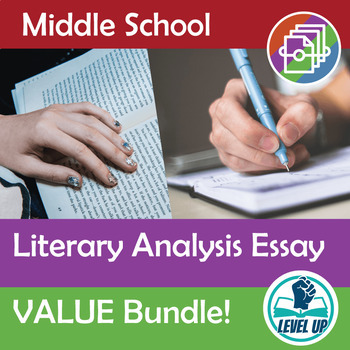 Middle schoolers CAN write literary analysis essays! 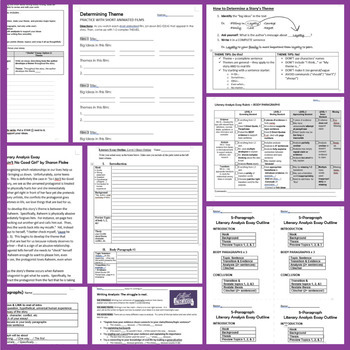 Use this bundle of best-selling resources to walk your students through every step of literary analysis, from reading to determine theme to studying exemplar essays to drafting and revising structured 5-paragraph essays. 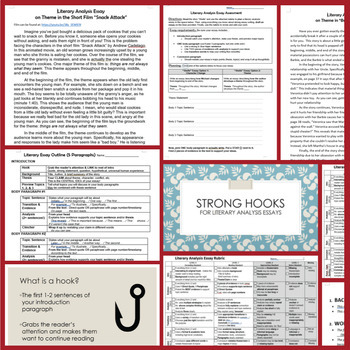 This bundle contains a mix of resources I have used in my own middle school Language Arts classroom for years. Each year, I am amazed at how quickly my students' writing improves! 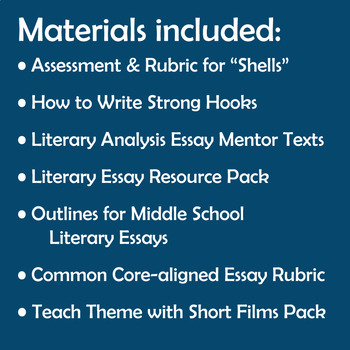 The bundle includes: PowerPoint presentations for teaching, interactive activities & worksheets for guided practice, student-friendly handouts, mentor texts (AKA exemplar essays), Common Core aligned grading rubrics, outlines with sentence starters, and an essay assessment. $18.89 VALUE FOR ONLY $12.99!